CCUE is the main professional organisation for English lecturers in universities and colleges across the UK. Our aim is to promote the study of English in all its aspects - literature, language, creative writing - and to further the development of both teaching and research. CCUE is regularly consulted by funding councils, government agencies and other bodies when they wish to gauge the views of the English subject community. Members meet twice a year, at the Annual General Meeting in Spring and the Ordinary General Meeting in London in early December. 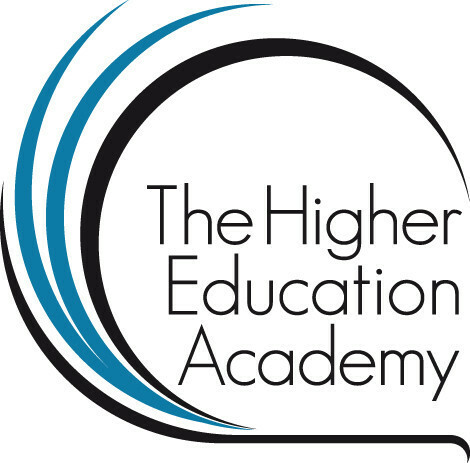 The HEA supports a large network of learning and teaching practitioners involved in English throughout the UK. We provide funding, events, resources and a large number of opportunities to network with English learning and teaching practitioners from a variety of institutions and roles. We initiate, gather and disseminate examples of good practice in learning, teaching and assessment which have been developed and successfully implemented by English specialists in institutions across the UK. We offer a unique focal point and will help you stay in touch with what matters in learning and teaching in English. The Institute of English Studies is an internationally renowned research centre, specialising in the history of the book, manuscript and print studies and textual scholarship. Our activities include providing post-graduate courses; hosting major collaborative research projects; providing essential research training in book history and palaeography; and facilitating scholarly communities in all areas of English studies. The National Association of Advisers in English (NAAE) works to promote the highest standards of English teaching in school, through the involvement of its members as advisers, inspectors and consultants in the schools of England, Wales and Northern Ireland. The Association originally repesented the views of English advisers employed by local education authorities, but, in recent years, other colleagues have joined us, some in the role of LA consultants and others in the capacity of freelance consultants. NAWE is the one organization supporting the development of creative writing of all genres and in all educational and community settings throughout the UK. NAWE's mission is to further knowledge, understanding and enjoyment of Creative Writing and to support good practice in its teaching and learning at all levels.